A partir del 25 de julio de 2014, todos los importadores que ingresen mercancía a México deberán indicar si los productos ostentan alguna marca registrada y si se tienen los derechos de marca o si están autorizados a su uso. Esta nueva medida se exige desde la entrada en vigor de la Décima Segunda Resolución de Modificaciones a las Reglas de Carácter General en Materia de Comercio Exterior para 2013, con la que se incorporan cambios a los formatos de pedimento de importaciones. Estas modificaciones, según expertos en propiedad intelectual, ayudarán tanto a las autoridades aduaneras a identificar de forma eficiente mercancía legal y, de esta forma, optimizar su despacho, así como también servirá de barrera para quienes pretendan importar mercancías falsificadas. Con estas nuevas reglas será más fácil para la autoridad aduanera identificar aquellas mercancías que puedan estar violando derechos de propiedad industrial, concretamente marcas registradas, y contribuirá a tener una correcta identificación de mercancías. No obstante, si bien, las reglas recientemente reformadas facilitan únicamente la detección de mercancías infractoras, todavía se necesitará la actuación de la autoridad competente, ya sea el IMPI o la PGR, previa denuncia o solicitud del titular o representante de la marca afectada, lo que aún dificulta el proceso de combate a la importación de mercancías. El texto completo de las modificaciones puede consultarse aquí. Para elaborar el anteproyecto de ley se consideró la legislación internacional, en especial la Resolución de Madrid, las Directrices de la Unión Europea y la OCDE y la experiencia de países como México, Costa Rica y Uruguay. La iniciativa legal del Ejecutivo chileno, junto con fijar las condiciones para el tratamiento de datos, establece un sistema de derechos para las personas y crea mecanismos efectivos para hacerlos valer. 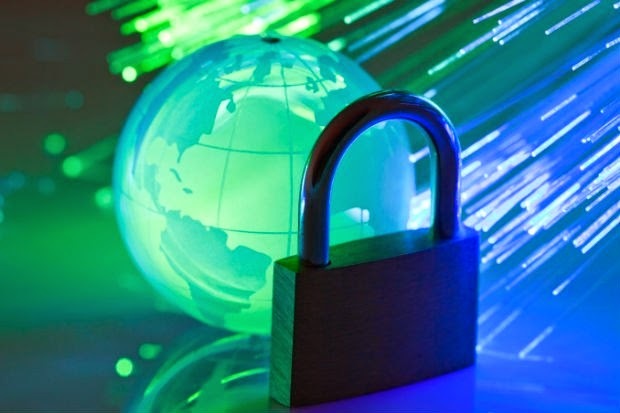 Además crea una Autoridad de Protección de Datos, así como un régimen de sanciones para quienes no respetan la normativa. La iniciativa estará durante tres semanas en consulta ciudadana en la web del Ministerio de Economía. La consulta y el proyecto se encuentran disponibles aquí. A recent decision of the Bolivian Patent and Trade Mark Office (Decision 165951), in first-instance opposition proceedings between the marks SMART FIT and SMART FIT, has caused something of a stir. 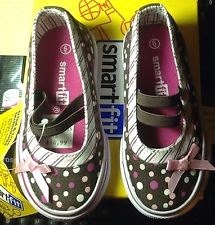 In short, an application to register the word mark SMART FIT was opposed by the owner of an earlier SMART FIT registration. This opposition was rejected since the power of attorney given to the opponent's local agent had been issued after the opposition was filed: accordingly, the opponent had acted without representation. “Any person being represented that makes a request to the government ought to file the power of attorney with the request”. This clearly signifies that representation needs to be shown before the process is concluded, as Article 13 of Law 2341 states that “… in order for all acts carried out by the representative to be good and valid, the appointee must show a power of attorney before a resolution is passed”. However, the law does not require that acts carried out without the existence of a power of attorney cannot be subsequently held valid. This decision is currently under appeal a the second opposition, in which the same issue is at stake, is awaiting resolution. Source: "Case pending appeal could mark U-turn regarding representation Bolivia" written by Juan Ignacio Zapata (Bolet & Terrero, La Paz) for World Trademark Review, 20 June 2014, from which further information and commentary can be found. Matos Berna, Beatriz Noelia s/ Recurso de casación, Docket No. 361/2013, is a ruling of 26 February 2014 from the Argentine Federal Criminal Court of Cassation involved an action brought by the public prosecutor against Beatriz Matos Berna, who was accused of selling counterfeit trade marked products on the street. The trial court acquitted the defendant on charges of sale of counterfeit trade marked goods under Law No. 22,362, Section 31(d), following earlier decisions to the effect that the circumstances of the case (in this instance the street sale of ostensibly counterfeit products in small quantities) excluded the possibility of consumer deceit, posed no harm to the trade mark holder and did not therefore constitute a criminal offence. After the prosecutor's appeal to the Federal Court of Appeals failed, the prosecutor appealed further to the Federal Criminal Court of Cassation, arguing that consumer deceit was not a requisite element of the crime in question. Division IV of Federal Criminal Court of Cassation agreed in its majority decision and reversed the lower courts’ rulings, ordering that the criminal proceedings continue. Said the majority, the risk of consumer confusion is not a requisite for a successful prosecution on charges of criminal trade mark counterfeiting -- but the violation of the trade mark owner’s exclusive rights over the mark is. Following the withdrawal of Venezuela from the Andean Community, its Patent and Trademark Office (PTO) decided to revert to that country's Industrial Property Law of 1955. Since no regulations were promulgated under that law for the assignment of pending trade mark and patent applications, it transpired that their assignment was no longer admissible. Accordingly, until a trade mark or patent is actually granted and recorded on the register, there is no property right but only a petition to grant a property right -- and only property rights (ie registered patents and trade marks) could be assigned. 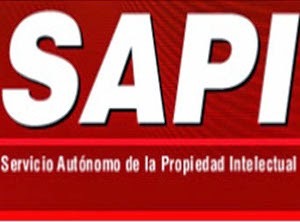 On 31 March of this year the Venezuelan Autonomous Intellectual Property Service (SAPI) published a notice indicating that, owing to business dynamics, and the fact that IP rights are property of a private nature, the applicant for a patent or trade mark registration has a priority right. Thus, since 9 April 2014 (when that notice became effective) , SAPI has allowed the recordal of assignments or any other changes of ownership (merger or change of names) against pending applications. Source: "Trademark Office Now Accepts Assignment of Pending Applications", by Richard N. Brown (De Sola Pate & Brown Abogados--Consultores, Caracas), published in the INTA Bulletin, 1 July 2014 Vol. 69 No. 12, which contains further details and welcomes this change. The 34th International Intellectual Property Congress of ABPI, the Brazilian Intellectual Property Association, takes place this year at the WTC, São Paulo, Brazil, from 24 to 26 August 2014. This year's theme is "Intellectual Property as a Driver for Economic Growth, Industrial Competitiveness and Investment Attraction". For further information and registration, click here for details. La consultora Interbrand acaba de publicar la edición de 2014 de las mejores y más valoradas marcas de México. Los rankings de Interbrand se han convertido en uno de los estudios de mayor referencia para CEOs, dueños de las marcas, líderes de opinión a nivel mundial, así como para todo aquel vinculado con la Propiedad Industrial e Intelectual. En este estudio, se ha analizado la evolución de las grandes marcas de México, su importancia y desempeño en el entorno económico actual así como en el mediano y largo plazo identificar el progreso en la gestión de marcas y aquellas tendencias y prácticas que están influenciando la relación entre las marcas y los consumidores. Este año el Ranking es encabezado por Telcel (telecomunicaciones), Corona (bebidas), Telmex (telecomunicaciones), Oxxo (retail) y Bimbo (alimentación). El Ranking de las 25 marcas más valiosas puede consultarse aquí, y el informe completo aquí. In Vi Da Producciones SA v Advanced Magazine Publishers Inc (Court Files 432/07 and 4392/09, May 13 2014), the Civil and Commercial Federal Court of Appeals, Argentina, refused an application to register the words TENDENCIA GLAMOUR DISEÑO VANGUARDIA as a trade mark in Nice Classes 16, 35, 38 and 41, following an opposition by Advanced Magazine Publishers Inc, the owner of the registered trade mark GLAMOUR. Said the court, the two marks shared the word ‘glamour’ -- but the addition of the words ‘tendencia’, ‘diseño’ and ‘vanguardia’ did not confer distinctiveness on Vi Da's mark. It was recognised that, in the fashion and beauty sectors, products are usually identified with terms that are apparently “weak”, but which -- when used in these sectors -- may gain strength and recognition. This was the case with GLAMOUR, which was a well-known trade mark in the fashion and publication sectors. Accordingly, TENDENCIA GLAMOUR DISEÑO VANGUARDIA would evoke the magazine owned by the owner of the earlier mark and would mislead consumers into believing that it had started to publish another fashion, beauty and lifestyle magazine. Registration of the mark applied for would thus lead to confusion regarding the source of the publication. The Peruvian Institute for the Defence of Competition and Protection of Intellectual Property (INDECOPI) informs the seized of more than 7000 bottles filled with liquor that exhibited the denomination of origin (DO) ‘Pisco’ without having such authorization.INDECOPI can prosecute cases of DO misuse with fines. Through the Directorate of Distinctive Signs and the Supervision and Auditing Administrative office, the goods were seized at a customs warehouse in a Peruvian Port Terminal as part of a case against the manufacturer of the product which was intended for exports. Back in 2011 INDECOPI awarded to the National Association of Producers of Pisco, the authorization to operate as the Regulator of the said DO. The Regulatory Council guides, monitors and control the production and processing of Pisco. Moreover, if a manufacturer wants to use a DO, it needs to be authorized by the Directorate of Distinctive Signs at INDECOPI. • Chile and Peru has disputed the DO Pisco for many years --one of the main differences between the spirit is the alcohol content. • In 2013, after more than a decade of litigation, El Salvador (Supreme Court) ruled in Peru’s favour agains Chile in the proceedings regarding the legitimate use of pisco as a DO. The judgment annulled the 2005 decision of a lower court which recognized Pisco as a DO originating from Chile. • In 2009, Malasia recognized Pisco as a DO from Peru. • Trade agreement between Chile and Nicaragua recognized Pisco as a DO from Chile. • Trade agreement between Peru and Costa Rica recognized Pisco as a DO from Peru. • Trade Agreement between Peru and the EU recognized Pisco as a DO from Peru. • In 2013, the EU registered Pisco as a DO from Peru. However, there is a note which acknowledged a previous (2002)Trade Agreement between Chile and the EU in which Pisco was recognized as a DO from Chile! Therefore, the note clarifies that the protection granted to "Pisco" as a DO to Peru does not hinder the use of that name for products originating in Chile.